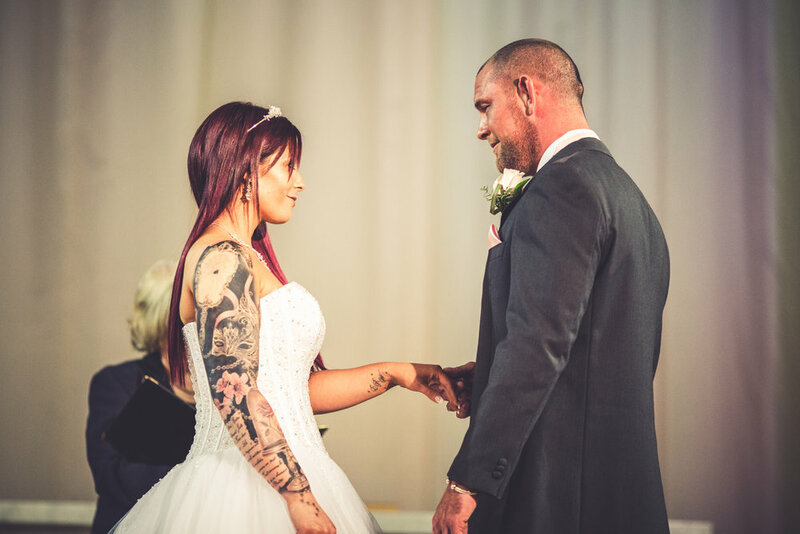 "Tom was our videographer on 13th April at the Old Kent Barn and I have to say although a video is such an amazing view back at your day I was worried about feeling like there was a camera there all day, but Tom knew this and was amazing. We have no idea how he got some of the shots he did as I do not remember seeing him. He was brilliant and the video is awesome, captured our day of Love and laughter perfectly. Plus our gorgeous USB stick was delivered in the post too. Thank you so much Tom"
"Our brief to Tom was that we didn't want posed shots but the candid ones that tell the story of our day. Tom has a rare talent for capturing those special moments, the little looks, the intimate touches and all the "usness" that made our wedding. We were amazed how he had caught these yet remained unobtrusive. Tom thanks a million." "Absolutely perfect. No pressure sales. Make you feel completely confident that they will take your big day seriously and the passion they have for photography shines through. Beautiful sample book and can't wait to see the photos."